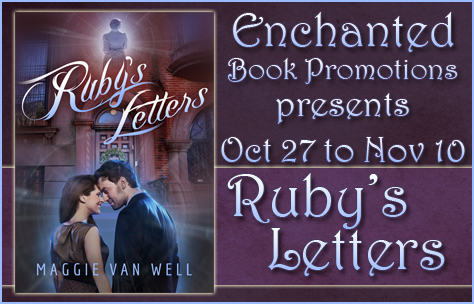 I’m interviewing Maggie van Well, author of paranormal romance “Ruby’s Letters”. My questions are bolded, Maggie’s replies are in regular font. What’s the hardest part of being an author? Finding enough chocolate!! Seriously, coffee and chocolate–they’re in the writer’s toolbox. Also, writer’s block. There are times where I fear I’ll never write another decent story again. I once went 8 years without writing anything new. Now that’s scary! Dealing with rejection is no day at the beach either. You have to develop a thick skin in this business–or a weird sense of humor, which I think I’ve got covered. 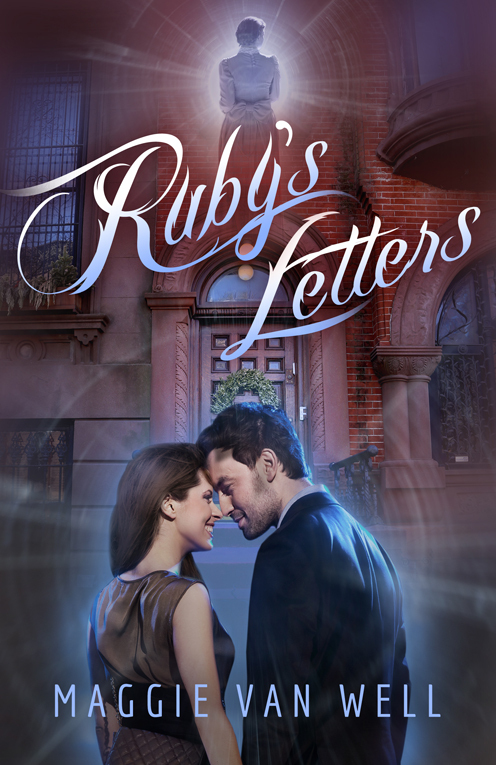 Can you give us a short synopsis of Ruby’s Letters? That’s a hard question to answer. I work at home, but I also help my husband with his business, plus I have four kids, 3 dogs, and 2 doves. On any given day, I can write anywhere from 2 – 12 hours…or more if I’m in “The Zone.” I’ve been known to procrastinate on occasion–okay, a lot. During those times, I play hidden object games. They’re addictive. Seriously, don’t try them. They’re evil. Name your top five favorite books. Maggie lives on Long Island with her husband, four insane children (no idea where they get that from) and three entertaining Italian greyhounds; Rosie, Stripe and Santa’s Little Helper (yes, that’s his real name). She also has two ringed-neck doves, because, ya know, who doesn’t like getting woken up at 2 in the morning by cooing? She loves the ocean, and feels blessed to be able to go to the beach whenever she wants. She is addicted to café mochas, Godiva chocolate, and hidden object games. Seriously, there’s an intervention in her future. 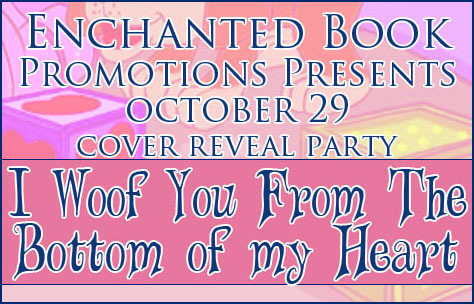 I’m also hosting a cover reveal party today! 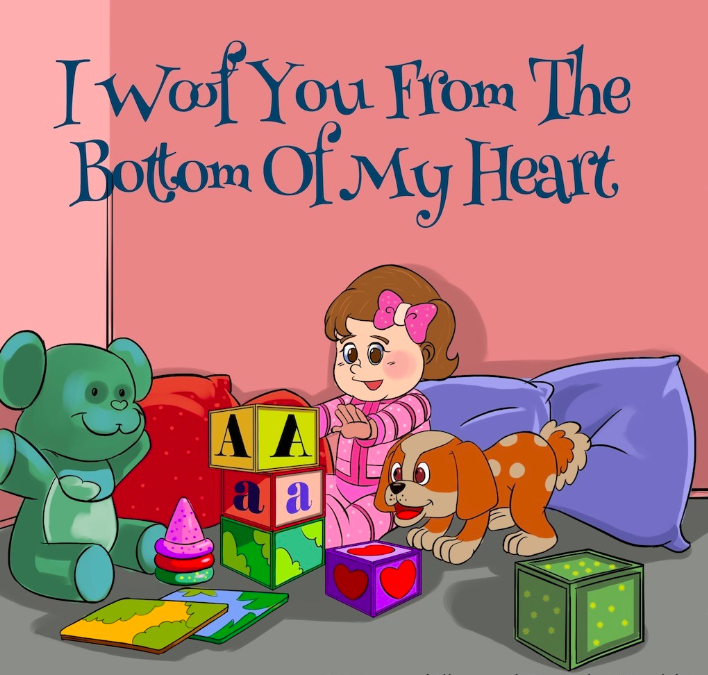 The cover reveal is for “I Woof YOu From the Bottom of my Heart”, an adorable children’s book. Kathy Vassilakis used to work in the corporate world. She majored in accounting from Brooklyn College and followed her dream to work in corporate accounting for 15 years until she became a mom. Being a mom was her dream all along and she left accounting to raise her beautiful daughter Sophia. She’s been writing stories for her daughter for quiet some time and decided to write her first children’s book of many to come I Woof You From The Bottom Of My Heart. The idea to write this book came from my daughter and my dog. This book was written to show children how special a bond and friendship they can have with their dog. Dog’s are wonderful pets and love us unconditionally. They will protect and love us no matter what. Children deserve to learn that at a very young age and grow to love all animals. Compassion for animals is intimately connected with goodness of character. I grew up in Brooklyn NY. I was the second child out of two. I have one sister named Joanne and always had animals. We had many dogs throughout my childhood from Pomeranians to Chows. I also had ducks, roosters, chickens, bunnies and many more animals. I was and still am a huge animal lover. My love of books started when my mother used to read wonderful stories to my sister and me every night. She always tried to teach us both languages Greek and English. My parents were born and raised in Greece so Greek was their first language. Most of the stories she read to us were in Greek but that started my love for reading and writing. I learned both languages and am now fluent in writing and reading Greek which I am very proud of. I’ve been married now for five years and have one beautiful daughter. My daughter Sophia is 17 months old and she is my whole world. I also have a Japanese Chin named Bella. My husband, Greg, has always supported and believed in me, and my family will always be my inspiration. I have spent twenty years writing stories and brainstorming ideas for children’s books with my family. I came up with the characters Sophia and Bella after my own family. I was inspired by my daughter and the relationship she has with Bella and created I Woof You From The Bottom Of My Heart to teach children ho special a bond they can have with their dogs. Compassion for animals is greatly connected to goodness of character this is the motto of the book. All animals deserve to be loved, respected, and treated right. After a lot of hard work and many sleepless nights, I was finally able to publish my first book: I Woof You From The Bottom Of My Heart. To me, finally seeing my book in print and being able to share it with the public has made all the late nights and long hours worthwhile. I’m sharing an excerpt today from a YA horror/dystopian book about zombies. Yep, you read that right – zombies! And just in time for Halloween. Enjoy! There was a brief silence before Katlego finally spoke. We had our weapons drawn. Rik and I had our spears and Pa was gripping his crowbar. Dirk had pulled out his massive hunting knife. We nodded and, on three, we fanned out into the alley. They knew we were there immediately and suddenly their docile shuffling turned into a determined walk towards us. Ironically, one of the lady zombies headed straight for me. She was dressed in a dark blue uniform and I soon realised she must have been a nurse. The blue pants were now ripped and stained, and her eyes were a dark red, with dry blood caked around the sockets. My heart started racing again. I kept repeating don’t be scared, don’t be scared in my head, and tried to remember Pa’s words about using fear to survive. Taking a deep breath, I charged at Nurse Zombie with my spear, aiming for below the chin. I came in a little too fast and got the angle wrong. The spear pierced under her chin, but came out by her ear, totally missing the brain. The spear was lodged and it was like I had a zombie on a lead. She tried to move in every direction, but I fought her, pushing and pulling. What now? I decided I needed to get the spear loose, so using all my strength, I pushed, channelling all the power in my legs like a rugby player in a scrum. I started to jog, forcing her to reel backwards. Then I suddenly stopped. Nurse Zombie toppled backwards and her weight let me pull the spear loose. As she landed on her back I jumped forward, plunging the spear through her left eye. Lucky shot, but it worked. I spun around, hoping Pa had seen my handiwork, but it looked like everyone had been concentrating on their own kill. Pa’s eyes met mine. South Africa has been infected. The army and police failed. Government fell. And now the dead roam the streets. 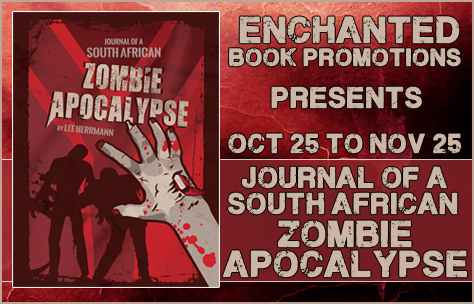 Journal of a South African Zombie Apocalypse is a post-apocalyptic story set in South Africa, 2 years after a mysterious outbreak has ravaged the country. No one seems to know how it started, but the reality is that most of the rainbow nation is mindless, walking zombies and it’s survive or be eaten. After their supplies run out, 16 year old Kon, his brother and father leave their Pretoria home and embark on a journey for a new home. They Come across Kat and Dirk, two fellow survivors on a mission to reach Robben Island, a reputed safe haven. Together they embark on an epic journey across the country. Along the way they befriend other survivors, and face an unrecognizable new world filled with new, unpredictable dangers. Oh, and there’s lots and lots of zombies. 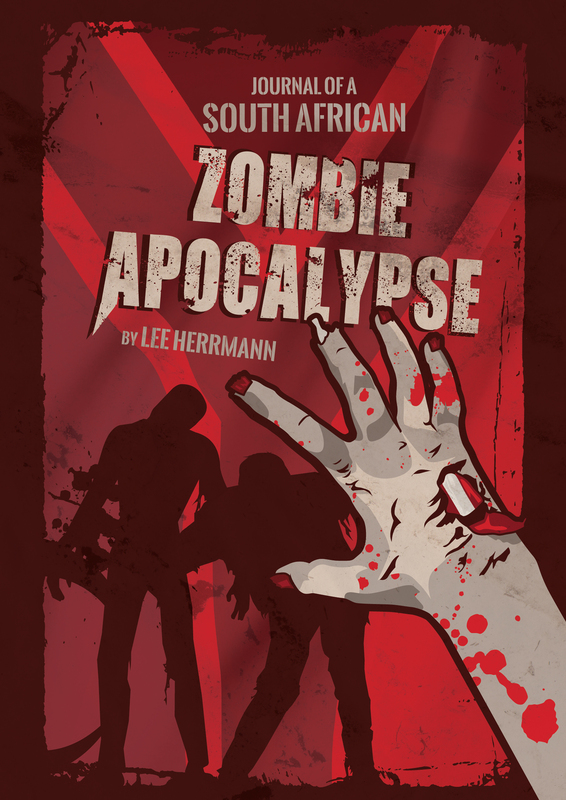 Journal of a South African Zombie Apocalypse is a coming of age story in a very different South Africa, and chronicles one family’s fight for survival against the walking dead. Africa. He has always had a fascination with zombies and has numerous contingency plans for the eventual apocalypse. Therefore, while he waited, it made sense to write a book about zombies in South Africa. He has a great love of by comic books, movies, television and popular culture, and cites his zombie favourites as 28 Days Later, Dawn of the Dead and The Walking Dead. He currently works in a near-zombie environment as a Content Manager for a big corporate firm in Johannesburg and has had a varied writing background including copywriting, writing for web, radio and magazines. He is also the author of the mystery title, The Manservant Mysteries ( www.TheManservantMysteries.com). 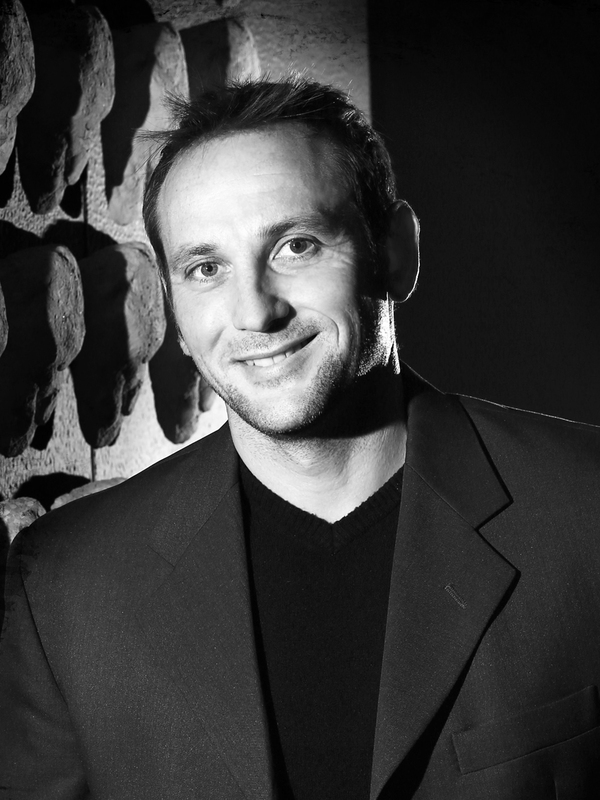 Lee lives in Pretoria with his wife Dina, and two sons, Max and Nik. Every Saturday night he can be found going to the movies with his best friend Steve-Dave. 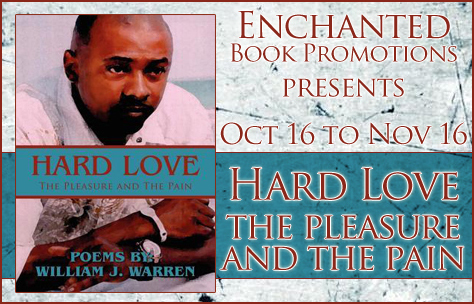 William J. Warren resides in Florida and has won several awards throughout the years in honor of his creative writing. 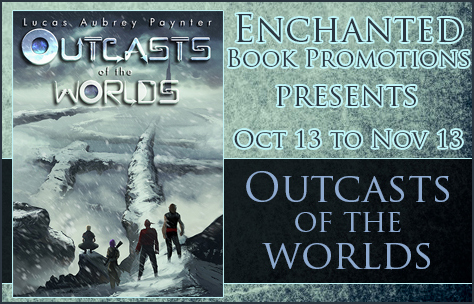 I’m interviewing Lucas Aubrey Paynter, the author of science-fiction fantasy novel “Outcasts of the Worlds”. My questions are bolded, author’s responses are in regular font. Largely, it’s been the continuous fear that anything I’ve written will be too strange and alienating and that the reader won’t be able to accept the oddities of the story for what they are that they might see the overall work for what it is. Seriously, I wrestled with the prologue and the first chapter more than anything else, in heavy part trying to establish the peculiarities of what Flynn and Jean as the first protagonists are without it feeling distracting. Whether I’ve succeeded or not, it’s in the wild now, but I hope from the early chapters on, the story will engage and not repel the reader. Can you give us a short synopsis of your book? Flynn has drawn many people close. He has gained confidence and trust. He has been welcomed into families. He has ruined lives, sold out those who thought him a friend. He has destroyed communities, ensnared trusting hearts, left his victims helpless. Only now does he begin to regret. Imprisoned, Flynn faces a choice: freedom, despite his sins, or the punishment he deserves. His selfish choices will take him far, beyond the ruined Earth he has known all his life. He will find himself in the company of those unwanted by nature or deed. And for all the horrible things he has done, he may find the chance to do something good with his life, if he can only force himself to be a better man. Outcasts of the Worlds is something I’ve been developing for a long time, and at first it was a love of epic fantasy and eclectic, ensemble casts. Along the way, it became complicated, as redemption stories and ambiguity tangled in more and more. Outcasts is meant to go to dark places and deal with characters who’ve done dark things but, for it all, I feel it’s the most optimistic thing I could write. The amount varies. I try to write at least one scene every day I have the time, and that usually takes a few hours. And, to be realistic, a portion of that is spent staring at the screen, re-reading what I’ve written and wondering if it’s working. Sometimes whole paragraphs are deleted. Occasionally, I just start over. If things go well though, a few hours. If they’re going badly, I may be there until I figure out what isn’t working (which at times comes down to what character I’m focusing on), but I end up stuck at my desk quite a while longer before anything gets done. To note, the numbering is probably quasi-arbitrary. Probably. A few of the books may also be quasi-arbitrary. But these are ones I really like. 1. The Hobbit by J.R.R. Tolkien – That’s where I started and, hell, that’s probably where half of everyone started. 2. A Spell for Chameleon by Piers Anthony – The Xanth series has become increasingly mixed for me as time has gone on, but there’s a lot I loved about the first entry, and it had me reading Anthony’s works for years to come. 3. I Am Legend by Richard Matheson – Yes, I saw the Will Smith movie first (which I don’t think was all that bad), which led me to look into the book and–in short? I adore the book. I wrote a paper in college on it entitled “All Hail Our Vampire Overlords, or Much Ado About Staking.” My Rocky and Bullwinkle themed title landed me a B. I have no regrets. 5. Harry Potter and the Half-Blood Prince by J.K. Rowling – This is probably an odd one to round this list out, but aside from the excitement of the ending, I consider Half-Blood to be the dullest of the Potter books (in terms of events). It was also a favorite to read though, as I ate up the backstory material that was finally being doled out. 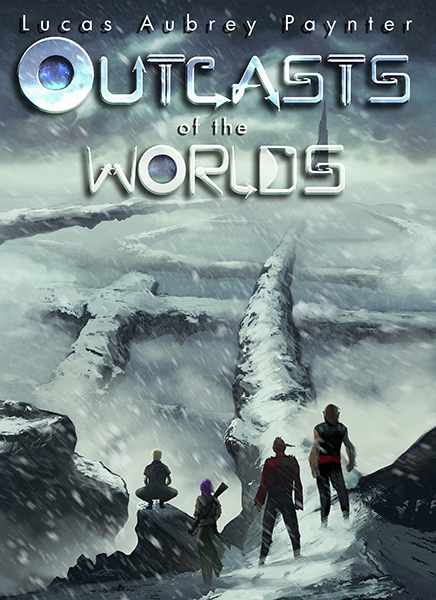 Outcasts of the Worlds is the first book in a (presently) unnamed saga. The second book in said (presently) unnamed saga is titled Killers, Traitors and Runaways. Think happy thoughts, everyone. Beyond the remnants of Earth lie many worlds, connected by pathways forgotten and invisible. They were left by the gods and have been found by Flynn. A confidence man. A liar. A monster. Flynn has seen himself for what he really is and has resolved to pay for everything. Even if it means spending the rest of his days locked in Civilis, a tower prison for society’s unwanted – “half-humans” gifted by the fallout of nuclear holocaust centuries past. Jean, a prisoner in the neighboring cell, has different ideas and despite himself, Flynn finds himself joining her daring escape. After rescuing her friend Mack, the three flee Civilis as Flynn pieces together the hours before his capture and finds himself drawn to an abandoned facility where a rift to another world opens at his nearing. Together they will venture farther beyond the stars than humanity ever imagined, find others like them that will never belong, and tangle with forces both ancient and immortal. They stand alone, hated and scorned – and the last hope of making things right in a cosmos gone terribly wrong. Lucas Aubrey Paynter holds a Creative Writing degree from California State University Northridge—which looks really good when one talks about how they want to write for a living. A fan of engaging storytelling in any medium, he spent years developing the worlds, characters and conflicts that Flynn and his company encounter, before settling at his desk and writing Outcasts of the Worlds, the first part of a much larger tale to come. Currently residing with his wife in Burbank, California, Lucas enjoys reading in a variety of formats, potentially overanalyzing character motivations and arcs, and the occasional good, stiff drink. Has a book ever changed your life? Not just inspired you but helped you to see you’re life differently? 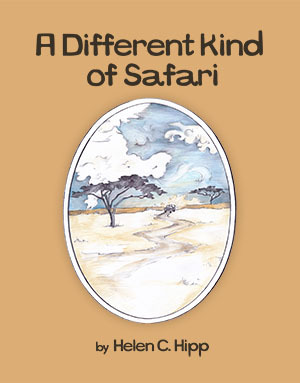 In a tale that celebrates differences “A Different Kind of Safari” addressing the many questions life asks by offering up lighthearted, ever-changing perspectives that transform personal challenges into opportunities. Engaging and fun young children begin to figure out how they are the same and different from other people, and how they feel about the differences. Full of fun and enjoyable teachable moments that move children and allow them to make personal connections with the characters handling of similar fears, interests, and concerns that they experience. I love kids books! I find that libraries too often focus on books for grown ups, and not for kids, so I’m always eager to review a kids book in my spare time. “A Different Kind of Safari” is a unique book – rather than just tell a story, it gives responses to some of life’s most intriguing questions, but in such a way that children will understand it too. The story focuses on a young boy who meets a hippo on a safari, and that’s when the adventure begins. 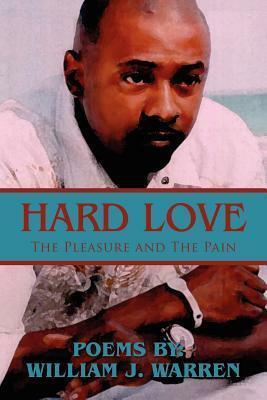 Ray, the main character, is different from other children and struggles to fit in. His friend the hippo offers him some interesting perspectives and life lessons, mostly through stories and adventures. The book isn’t preachy at all, instead it’s a fun adventure for parents and kids to live through together. 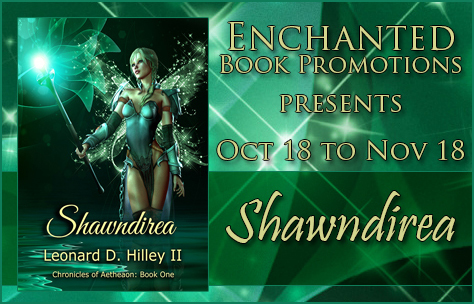 I’m interviewing Leonard D. Hilley II, author of fantasy novel “Shawndirea”. I hope you enjoy the interview! My questions are bolded, author’s responses are in regular font. The hardest part is the isolation. Writing requires the author to be alone with the keyboard, typewriter, or notepad while shutting out the outside world to zone in on the characters and their world. This is difficult when you have a family and minimizes one’ social life, too. Books don’t write themselves, so you have to plant yourself in the chair and write. Can you give us a short synopsis of Shawndirea? What inspired you to write this book? Shawndirea was originally a backdrop story to the novel, Devils Den. I had planned for this to be a novella (~40,000 words), but the characters came to life and took over, making the book an epic novel (148,000 words). The reason these characters are so powerful is because they were characters from a novel I had started over twenty years ago. I abandoned the novel, but the characters remained in my mind, slowly maturing and waiting for their opportunity to come to life on the page. Synopsis: An entomologist mistakenly captures a faery, shredding her wings, and vows to return her to her realm. Along the dangerous journey, they fall in love, and he must make the choice of staying in her realm or returning back to his home. On weekends, I try to write four to five hours per day. During the week, due to teaching, the hours vary based upon my schedule. I have learned to write more in less time. Sometimes I believe this happens because I make notes whenever new ideas strike me. I keep notebooks everywhere. And even when I’m not writing, the ideas percolate in my mind. I’m working on the sequel to Shawndirea. I’m also finishing up a sci-fi thriller about an alien virus that a doctor discovers that has no known cure. Often the smallest unexpected surprises garner the most demanding dilemmas, which proves to be the ordeal that entomologist Ben Whytten faces. While netting butterflies to add to his vast collection, he mistakenly sweeps what he thinks is the most spectacular butterfly he has ever seen into his net. Upon examining his catch, Ben is horrified to discover he has captured a faery and shredded her delicate wings into useless ribbons. Devastated, Ben vows to take Shawndirea back to her realm, Aetheaon; but he discovers that doing so places their lives into immediate danger. To get to Aetheaon, they must pass through a portal rift deep inside the haunted cavern, Devils Den. Once they cross the rift, Ben enters a world where mysteries, magic, betrayal, and power struggles await. He must adapt quickly or die because Aetheaon is filled with enchanted creatures and numerous races where chaos often dominates order. 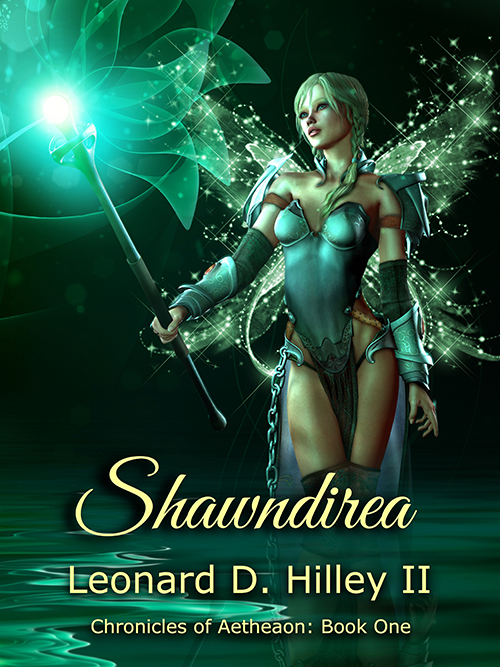 And since Shawndirea’s destined for the throne of Elvendale, opposing dark forces plot to prevent her from ever reaching her kingdom again. The faery’s magic isn’t enough to fully protect them, so he must trust other adventurers to aid them during their journey. 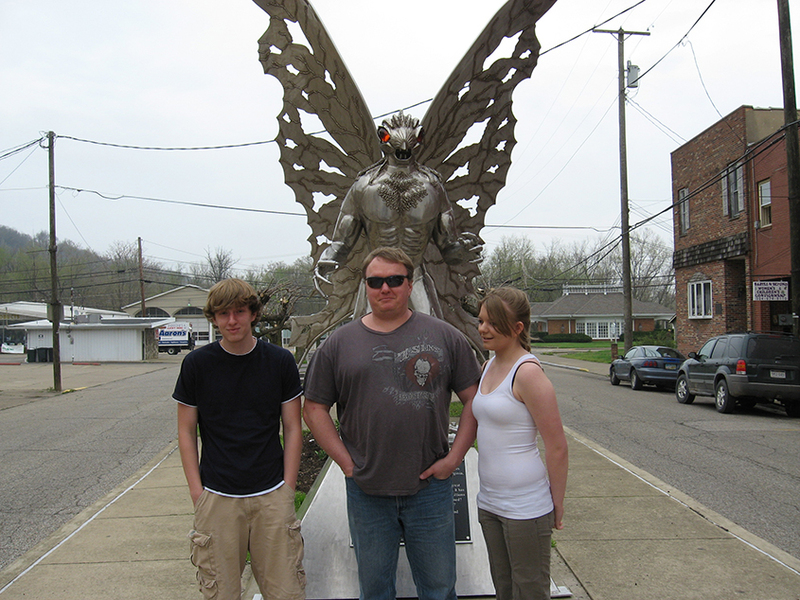 Leonard D. Hilley II currently lives in the mountains of Kentucky with his wife, Christal, and their two children. 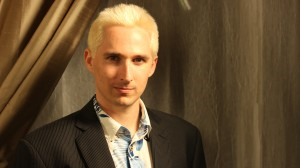 He is the author of The Darkness Series–Predators of Darkness: Aftermath, Beyond the Darkness, The Game of Pawns, and Death’s Valley. Shawndirea is available via Kindle Unlimited as well.